HECM Reverse Mortgage Counseling is a pre-requisite to submitting a loan application for a HECM reverse mortgage. This requirement is set by the Federal Housing Administration (FHA) for all potential reverse mortgage borrowers. Neighborhood Housing Solutions is an FHA- approved provider for reverse mortgage counseling. Please read below for details on how we provide this service. Our goal is to help you be as informed as possible in your decision of whether or not to get a reverse mortgage. Our standard fee for reverse mortgage counseling is $150, to be paid by check. We do not currently accept debit or credit cards at this time. 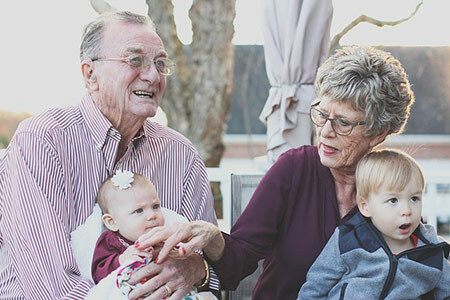 If you are under a certain income level based on your household size and county of residence, undergoing certain financial hardships, or fit under certain criteria that will make the fee difficult for you to pay upfront, you will be given an exemption from having to pay the fee upfront and instead will pay it through your closing costs if you later close on a HECM reverse mortgage loan. If you call to schedule a reverse mortgage counseling appointment, we will first check to see if the upfront fee will apply to you. You are encouraged to call multiple reverse mortgage counseling agencies to find the price and situation that you feel comfortable with. If you’re in or close to Logan, Utah, it is preferred that you come to our office to receive Reverse Mortgage Counseling face-to-face. However, due to distance or mobility issues, we can hold the meeting over the phone if you have a computer with reliable internet and email access. The reason for this is we use a process called “screensharing” during our phone appointments, which means we send you an email link at the beginning of our phone call that will allow you to see our computer screen from your computer. Then, as you sit at your computer during our phone call, we can put up on the screen whatever information or visuals we’d like you to see while we talk. You do not have to be “tech-savvy” in order for this to work – it is very simple and straightforward. However, if you do not have an email address and/or computer, we recommend you find reverse mortgage counseling at a different provider that will suit your needs. Call us at 435-799-8135 to schedule an appointment.